Karam Foundation is outraged by the continued targeting of civilians in besieged Eastern Ghouta. 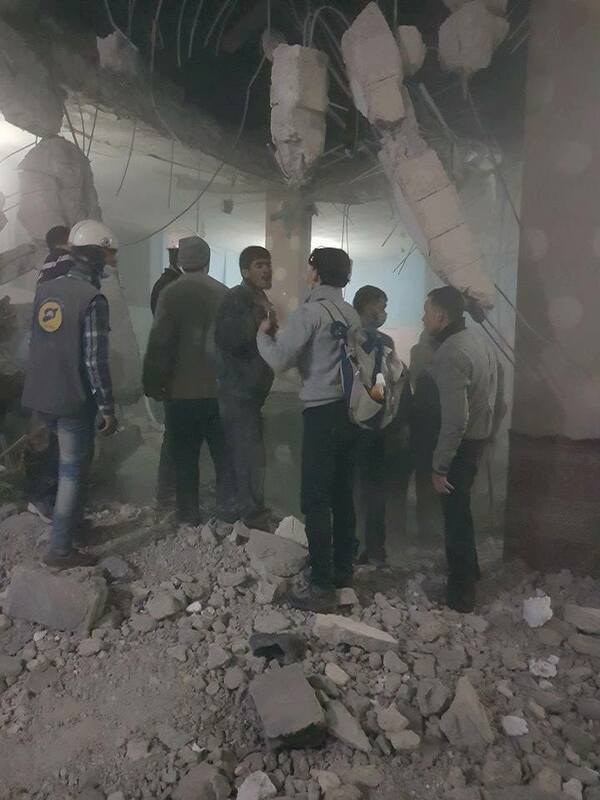 On March 20, 2018, Russian airstrikes destroyed an underground school in Arbin, Eastern Ghouta that was sheltering women and children. At least 15 children and two women were killed and another 50 were injured. These civilians were seeking shelter from the bombs, and in doing so, they lost their lives. Nowhere is safe in Eastern Ghouta. The Facebook page, ActForGhouta shared the names of the victims in a recent post asking artists to join them in preserving the memory of the women and children that were killed. At least 1,400 civilians have been killed since the Syrian and Russian regimes intensified attacks against Eastern Ghouta, a city that has been under a government-imposed siege since 2012. More than 50,000 civilians have fled Eastern Ghouta, being forcibly displaced to neighboring towns to escape the bombs. Those that cannot flee take shelter in basements, hoping that staying underground will protect them from the bombs. As the Syrian regime continues its onslaught, thousands of men, women and children are being encircled into a small geographic area, encircled by all sides. Our team refuses to stand by idly as the massacre of Syrians continues. As Syrians enter their 8th year of conflict and suffering, death and displacement, siege and failed ceasefires, we are saying enough. We call on the international community to take immediate action to ensure the protection of civilians living in Eastern Ghouta as well as those that are fleeing. We demand an end to the violence and that a ceasefire be enforced so that humanitarian aid agencies and medical workers can reach the thousands of civilians in need of aid and treatment.